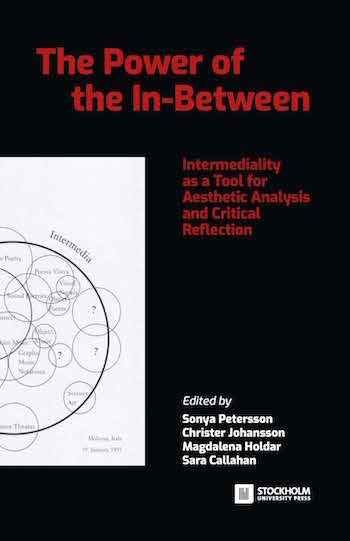 The Power of the In-Between: Intermediality as a Tool for Aesthetic Analysis and Critical Reflection gathers fourteen individual case studies where intermedial issues—issues concerning that which takes place in between media—are explored in relation to a range of different cultural objects and contexts, different methodological approaches, and different disciplinary perspectives. The cases investigate the intermediality of such manifold objects and phenomena as contemporary installation art, twentieth-century geography books, renaissance sculpture, media theory, and public architecture of the 1970s. They also bring together scholars from the disciplines of art history, comparative literature, theatre studies, musicology, and the history of ideas. Starting out from an inclusive understanding of intermediality as “relations between media conventionally perceived as different,” each author specifies and investigates “intermediality” in their own particular case; that is, each examines how it is inflected by particular objects, methods, and research questions. “Intermediality” thus serves both as a concept employed to cover an inclusive range of cultural objects, cultural contexts, methodological approaches, and so on, and as a concept to be modelled out by the particular cases it is brought to bear on. Rather than merely applying a predefined concept, the objectives are experimental. The authors explore the concept of intermediality as a malleable tool of research. This volume further makes a point of transgressing the divide between media history and semiotically and/or aesthetically oriented intermedial studies. The former concerns the specificity of media technologies and media interrelations in socially, politically, and epistemologically defined space and time, and the latter targets formal considerations of media objects and its various meaning-making elements. These two conventionally separated fields of research are integrated in order to produce a richer understanding of the analytical and historical, as well as the aesthetic and technological, conditions and possibilities of intermedial phenomena. In the two centuries since Mozart’s La clemenza di Tito was first performed, and the almost three centuries since Metastasio created the libretto, many rumours, myths and prejudiced opinions have gathered around the work, creating a narrative that Mozart, Mazzolà and their contemporaries would scarcely recognise. The essays in this book contribute ideas, facts and images that will draw the twenty-first-century reader closer to the events of Central Europe in the late eighteenth century, and these new facts and ideas will help peel off some of the transmitted accretions that may hinder a modern listener from enjoying and understanding the opera in all its fullness. In this sense the essays present the reappraisal promised in the title. The book is a product of the Performing Premodernity research project, funded by the Swedish Foundation for Humanities and Social Sciences and based at the department of theatre studies of Stockholm University. 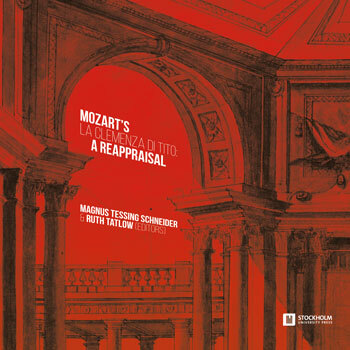 Envisioned and edited by Magnus Tessing Schneider and Ruth Tatlow, the five essays by internationally renowned Mozart scholars are preceded by a chronology and a selection of original documents presented in new and revised parallel translations.